Take a look at a few simple tips to keep your eye makeup in place for the summer wedding. Look gorgeous this season with gorgeous and ultra-cool eyes! Indian weddings are so much fun. Week long festivity, back to back functions, dressing up and simply having a ball. But this sweltering summer can play a spoilt sport with the festivity. Constant sweating, melting makeup, runny eyeshadow…Phew! But you can prep your skin beforehand to take care of these issues. What follows are a few tips to keep your eye makeup in place during the summer weddings. 1. Prep your eyes with a primer: One of the most common problems we face during summer weddings is runny eye makeup. Don’t worry, just glide on an eye primer or some liquid foundation on your eyelids. This will minimise creasing and provide a base for the eyeshadow to cling to and help it last through the party. Using a primer will also intensify the pigment of the eyeshadow, bringing out the colour, making your eyes look even more gorgeous. Cream and pressed powder eye shadows are best suited for the summers as they are less likely to move and slide. 2. Prevent smeared kajal: With all the hoopla around the wedding, dancing, celebrations, smeared kajal should be the last thing on your mind. But being a summer wedding, sweating can cause the kajal to smudge, turning even the most gorgeous diva into a black-eyed racoon. But you can use some preventive measures to keep your kajal from smearing. Make sure that your skin is oil and sweat free. Most of the times, it’s not the kajal that goes runny, but your oily skin that causes the kajal to spread and smudge. 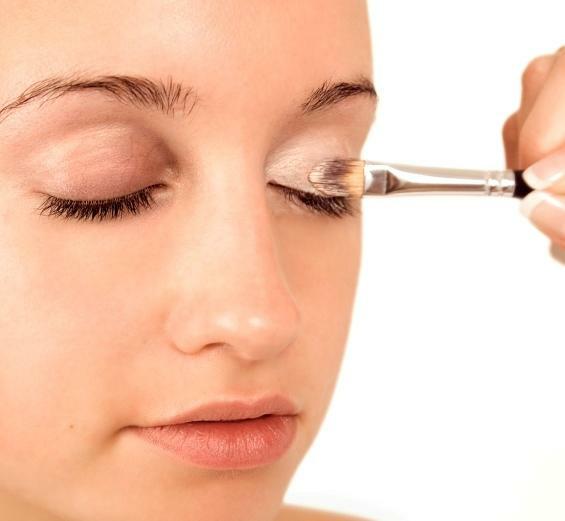 A quick tip would be rubbing an ice cube around your eye before you apply kajal and let it dry naturally. This will help you get rid of any oil buildup that can later cause your kajal to run. Also, it’s highly recommended that you go for a waterproof kajal that can last up to 12 hours. Ditto for the eyeliner. 3. Summer proof your lashes: If it’s a summer wedding, make sure you opt for a water resistant mascara. They are the easiest way to avoid the dreaded racoon eyes. But if long wearing formulas are not for you, then here’s a simple trick. 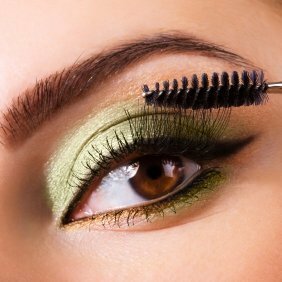 Sweep some clear mascara over your regular black mascara on your top lashes to seal the colour. But use only a clear one on the bottom lashes. Another trick would be to dust some translucent powder over your lashes and then follow with a coat of mascara. This will help the mascara cling to the powder and last longer, making your lashes look fuller at the same time. 4. Soften your color palette: Since its a summer wedding, a combination of blended, cool and subtle colours would work really well for you. Go for soft pink, dusty rose, lilac, deep sky blue and silver that have cool undertones and are best suited for the summer months. Bright colours would be too strong for this scorching hot weather. You could also go with a purple, graphite, cobalt blue or cocoa eyeliner for a softer look and avoid black altogether. So follow these simple yet effective tips and look splendid this wedding season while keeping your eye makeup where it belongs. Can you please post hw to do daytime smoky eye !